Mr. Christian CHAVASSIEU Served as Sateri sales and marketing director between 2007 to 2011. From 1996 to 2006, he worked at Buckeye Technologies Inc., the second largest high purity cellulose producer in the USA, and served as senior vice president of Wood pulp sales. From 1990 to 1996, he was President of Chavassieu & Cie SA, a pulp and paper trading company based in France. 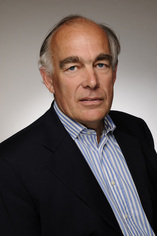 Previously he worked for Apple Computer in California, and Schlumberger in various countries in finance executive positions. Mr. Chavassieu holds a bachelor degree in marketing from Institut Supérieur de Gestion in Paris and a master degree in business administration from Columbia University in N.Y.